A lot has changed since I started working as a programmer in Washington, DC area nearly 20 years ago. Hardware has gone from physical to virtual with specs that I could barely have imagined. I've traded PHP for Java as my daily server side language of choice. Gone is the office and coworkers, replaced by programming in my pajamas and a 0 mile commute. 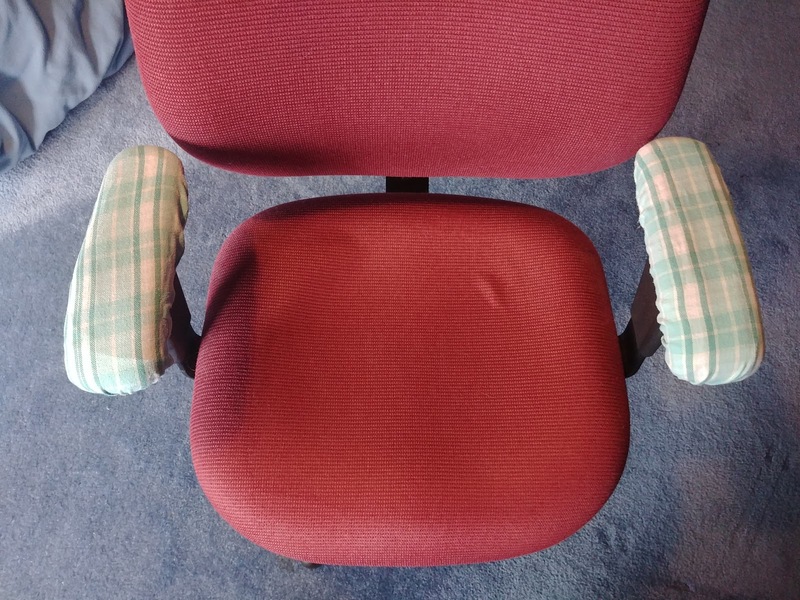 Some things haven't changed: the thrill I get from tracking down and fixing a bug, the joy of implementing an elegant solution to a problem and my chair. Yes, my chair. This old guy has been with me since day one at Amazing Media. When the company fizzled out, I was able to take my trusty steed home with me. He found new life as my office chair when I started my own company. I marvel to think of all the ideas I've had—some great, some horrendous—while sitting in this chair. 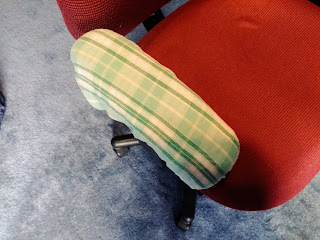 A few years ago the plastic on the arm rests started to disintegrate. 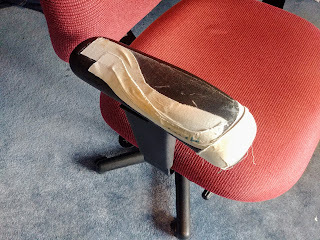 I grabbed the first solution at hand: a roll of atheltic tape, and patched him up. That was a mediocre solution at best, because the tape would eventually peel, get all nasty and require another layer of tape. 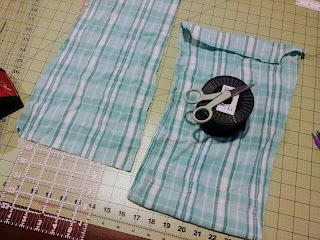 I realized a couple of weeks ago that I now had a new tool in my toolbox to solve this conundrum: sewing. 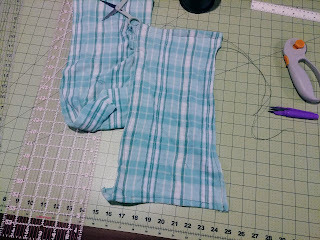 So yesterday and today, I upcycled a pair of comfy PJs into custom arm covers. One one had, the process was super simple: cut out rectangle of fabric and sew in 4 channels to hold some heavy duty fishing line. On the other hand, nothing is ever that easy. I finally ran out of thread in my bobbin so I had to learn how to spool a new one (seriously, what a satisfying experience!). And of course, I made the first one too large and had trim and resize it. But all in all, I think the project was a success. These days, I tend to stand at my desk more than sit. But the chair, he's still there. Ready to support me, regardless of whatever challenge we're facing.